At Cape ENT, we specialize in the medical and surgical treatment of the ears, nose, throat and related structures of the head and neck. We expertly evaluate and treat tonsil and adenoid disorders, nosebleeds, earaches, hoarseness, sinus disease, skin lesions of the head and neck, seasonal allergies and more. 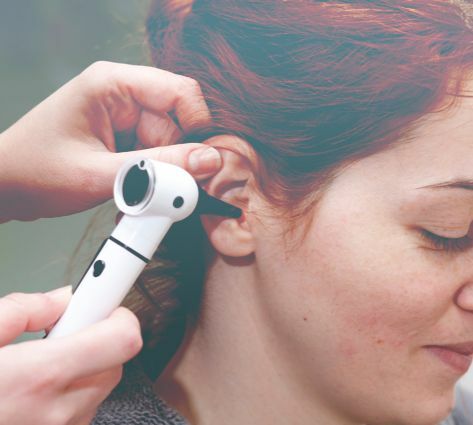 Our audiology services include diagnostic hearing evaluations, hearing aid dispensing and servicing, custom ear protection, tinnitus management and treatment of dizziness and vertigo. When you come to Cape ENT, you can trust that you are receiving the highest level of care in the Lewes region. 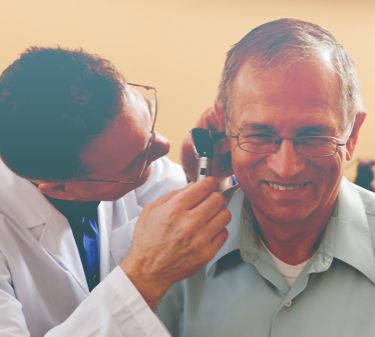 Our expert physicians and audiologists are board certified and trained to address any ENT concerns you may have. Audiology is the branch of science and medicine that focuses on hearing, balance and related disorders. Services audiologists provide include hearing tests; hearing aid selection, fitting and programming; audiologic rehabilitation and counseling/education for patients and their families. Facial plastics, or plastic surgery, got its name from the Greek word plastikos, which means “to mold or give form.” There are many reasons people have plastic surgery, including both cosmetic and medical purposes. Sinus infections bring pain and misery to millions of Americans. When the condition is chronic or recurs frequently and medications do little to provide relief, then sinus surgery is often recommended. There are a couple of different procedures available, each with the same goal in mind: to remove nasal obstructions and enlarge the sinus openings, enabling drainage of fluids. Sinus surgery is far more commonplace now than in the past. Advances in medicine have led to procedures that are minimally invasive with little risk for complications. Ear, nose and throat concerns are among the top reasons children go to see their doctors. This is because children are especially sensitive to issues like ear infections and food allergies, and because certain birth defects such as cleft palates must be treated at a young age to prevent complications when older. The best way to treat ENT disorders in children is to bring them to an ENT clinic, where multiple specialists work in close collaboration to care for your child’s total well-being.